Donations are being accepted for the annual White Cross Christmas campaign, which provides gifts to people on P.E.I. who have mental health issues. For some people on P.E.I., the gift they receive through White Cross Christmas campaign might be the only one under their tree on Dec. 25. It might be a hat, scarf, mittens — even toothpaste and a toothbrush. 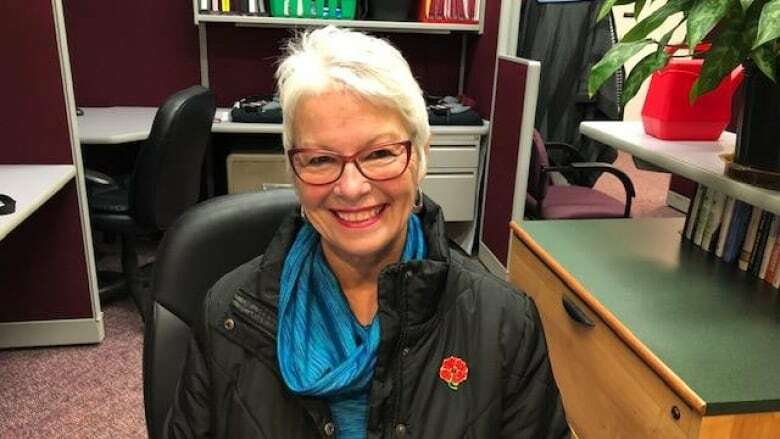 Whatever it is, it'll mean a lot to the person who receives it, says Sharon Claybourne, co-ordinator of Canadian Mental Health White Cross Christmas campaign. "One lady last year told me it was the only gift that she gets at Christmastime … she puts it under her tree and waits till Christmas morning to open that gift," said Claybourne. Feeling stressed? You're not alone on P.E.I. "It makes White Cross just that more special to know that you're bringing that love into their house on Christmas." Through the annual campaign, Islanders donate gifts — or money if they want someone else to do the shopping — for people who have emotional or mental health issues. Claybourne said the program is not possible without donations from Islanders. Last year, she said about 700 gifts were distributed to grateful recipients. "People on Prince Edward Island just open their hearts." Donations can be dropped off at locations such as the Fitzroy Centre, Hillsborough Hospital, McGill Centre, Queens County Residential, Richmond Centre, Sherwood Drug Mart, Bingoworld, Pond Street Bingo and the Confederation Centre Library. Monetary donations can be arranged by calling 902-566-3034. Volunteers will wrap and deliver the presents Dec. 10-11.